Don’t miss our Spring Sale! - All lighting is 15% off from now until June 20th! 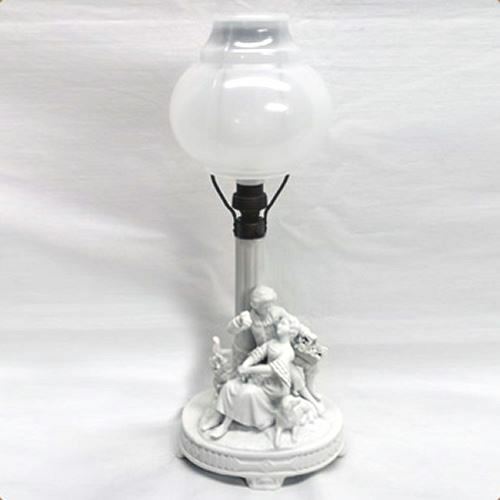 This white bisque figural table lamp is in flawless condition! It’s from the 1920s and has its original opal white ball globe. “Made in Germany” is signed on the base. We rewired this using a hi-lo inline switch for versatility. 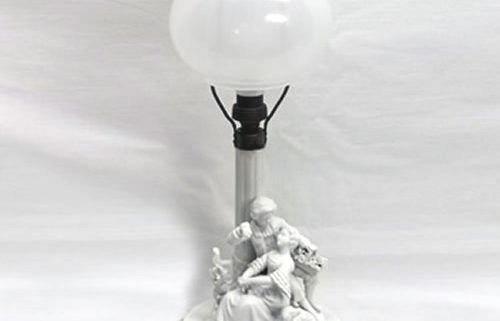 If you appreciate fine detail and artistry, this is the lamp for you! Perfect for office, library, living room, den, dining room, entrance way, mantel, etc. Measures 13″ high by 5 1/4″ wide by 3 1/2″ deep. Rewired. 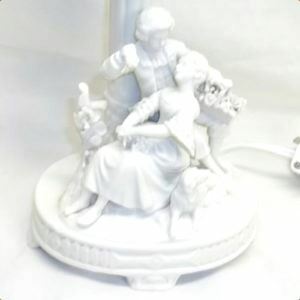 View details about this table lamp here.